The Huawei P10 and P10 Plus were star attractions at this year's MWC and the Chinese manufacturer is wasting no time to release the new device family. We already heard that the P10 will be available across all major UK carriers soon and the subtle leak, suggesting a P10 Lite version is on its way as well. Now we start to see the P10 pre-order pop up in stores. We spotted the handset ourselves, while in Barcelona. 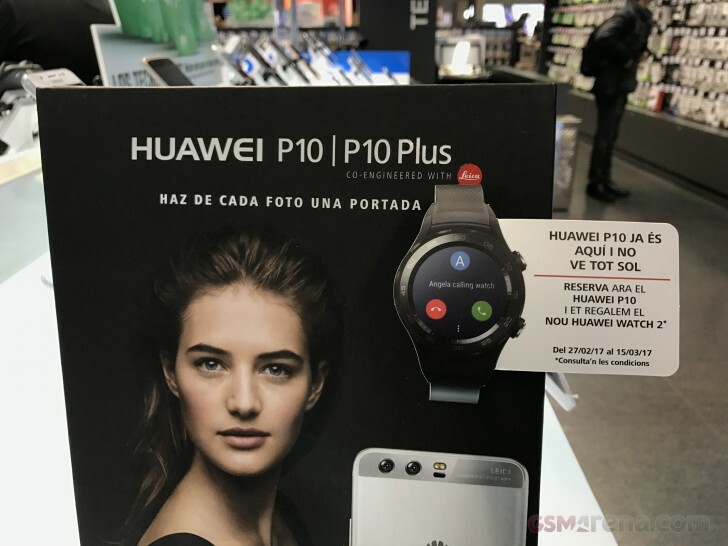 It even comes with a special deal - if you reserve yours before March 15, you also get a free Huawei Watch 2. Now, that is a good deal, if we ever saw one. The company also offers financing for the purchase for up to 20 months. 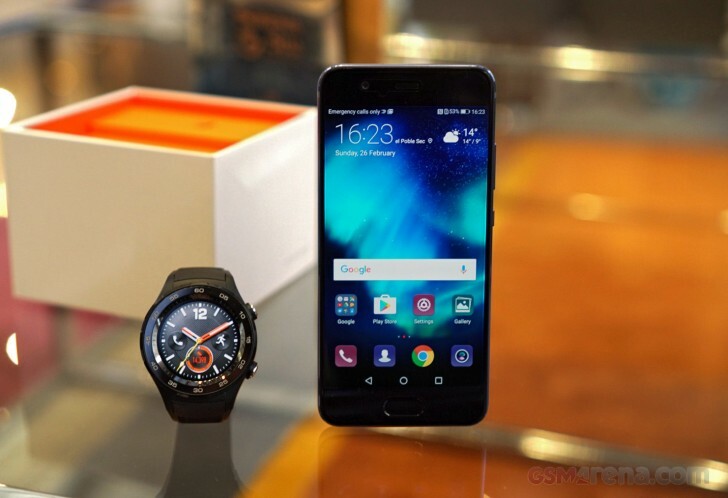 For a more in-depth look at the P10 and its Watch companion, you can check our hands-on. Wut? In the Netherlands we get a Leica Sofort, I would rather get a smartwatch than a Leica Polaroid makeoff. And the return policy doesn't work on water dmg. Sorry. I know for sure that ip68 can handle water and shower. I have mistreated my s7 several times already and my old sony z1 compact. I think the sony had ip67 tho.